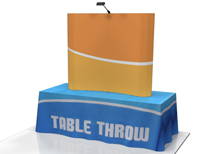 Coyote table top pop up displays are ideal for table top displays. Every kit includes Lambda graphics for the highest quality graphic prints available. Northwest Creative Imaging offers such great pricing on these displays that we can include Lambda graphics and still beat our competitors pricing! Our kits include lights and a shipping case so no additional items are needed! 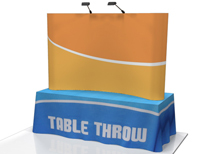 Table top Coyote pop up displays with Lambda graphic panels are the highest quality pop up displays available. Not only is the frame one of the most durable available, the high resolution, durable Lambda graphics are the best in the industry. 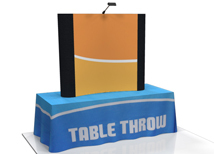 Both the frame and the graphics have a lifetime warranty against defects making this display a lifetime product. We offer samples of our Lambda and guarantee to have the lowest price. 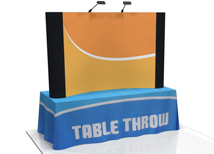 We also have a full selection of pop up displays in many different styles and price points!